“The Crocodiles of Chinchorro Bank.” The sound of the words play with my vivid imagination. Caribbean Dragons? Prehistoric Dinosaurs? Imagine being face to face with one of the most dangerous creatures and the most successful predator in the world. They are kings. They lay waiting for dinner with massive jaws, eighty perfect or scattered white teeth and swift movements. On top of this they can see in the dark, smell and hear their prey. This could make for a terrifying experience! 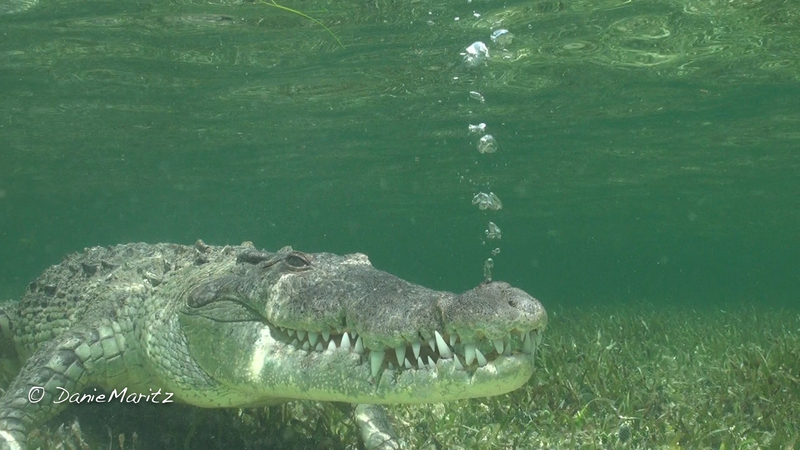 Banco Chinchorro is home to the densest congregation of American Crocodiles in the world. XTC Dive Center in Xcalak is the only dive operator with a private permit for Chinchorro. They were the first to organise Crocodile Encounters. It is intentionally kept small and conservation orientated. The experience felt incredible. I never felt afraid. I felt exited. It is as if you want to will the crocodile to come closer. You want to look into his or her eye. The crocodile looks back and you can really see curiosity in the eyes. 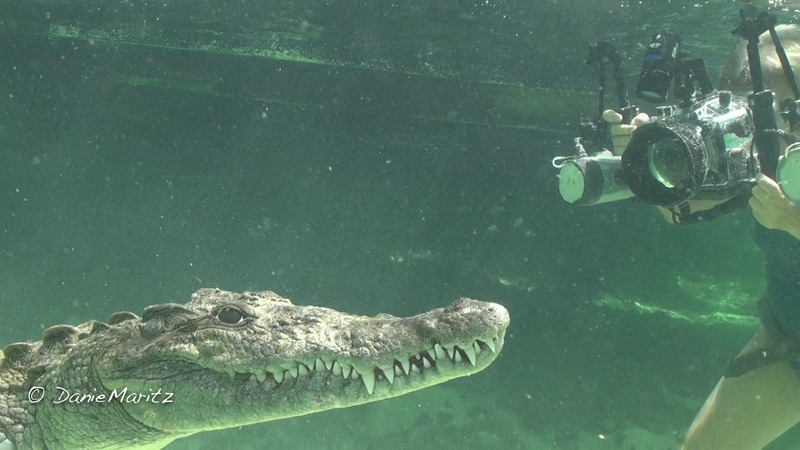 It feels as if the crocodile wants to playfully challenge you and vice versa. The crocodiles each has its own distinct character. They even appear to be “intelligent”. Off course we all were vigilant and approached them with respect, as it should be. After this exhilarating experience we had dinner and enjoyed just being in nature in the middle of a lagoon, surrounded by crocodiles and millions of stars. The moon was a bit skittish, but sunrise sure surprised us. We, as someone suggested, camped here for 2 nights, hunted for lionfish in superb dive locations in the morning and experienced the crocodiles in the afternoon. 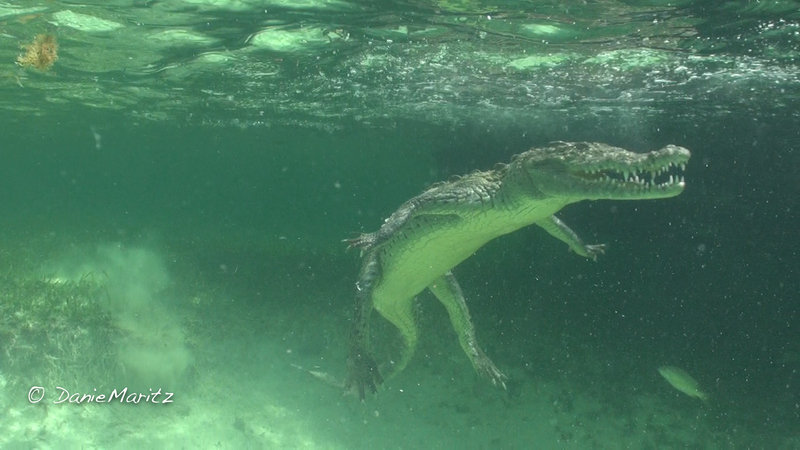 “The Crocodiles of Cinchorro” became real. It was an amazing, once-in-a lifetime experience and I will always cherish this experience. It was really really special.